University of Liverpool researchers undertook a study in response to a request from the Department of Business, Energy and Industrial Strategy (BEIS) to assess induced seismicity and the associated traffic light system (TLS) which is used by hydraulic fracturing operations in the UK. The scope of the study was to measure vibrations at the surface of the ground only and did not include measuring the extent of levels of ground movement underground. Using the same equipment used to detect and locate earthquakes (seismometers) researchers measured vibrations in the ground surface for a range of everyday activities including bouncing a football, dropping a bag of flour, and traffic on a busy road. The recorded vibrations were processed to provide measurements of ground movement (velocity and displacement). 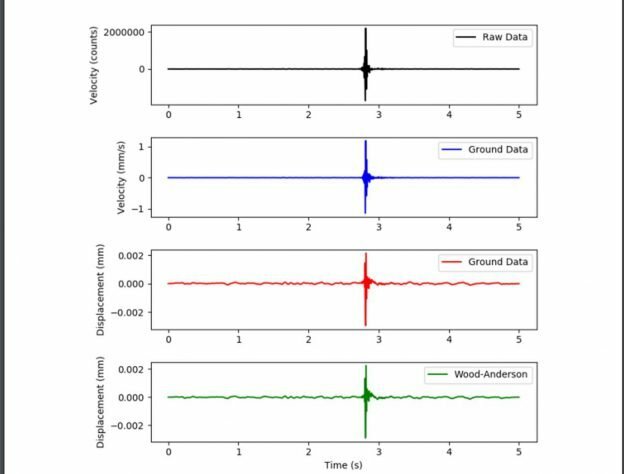 From these measurements, peak particle velocity (PPV) and peak particle displacement (PPD) were calculated and compared to the ground shaking that a particular magnitude earthquake would produce directly above the Preston New Road hydraulic fracturing site.